is I think the most complicated event the Society has ever organised, more complicated even than pilgrimages overseas and our priest-training conferences. Only on a walking pilgrimage do we have to have our own catering team, for example, and a complete travelling sacristy. We can't subcontract any aspect of it, to professional caterers or choir for example, and every Mass is in a different church. This year we had two minbuses and a van, as well as a landrover with trailer and various private cars, accompanying us across the country. Matthew Schellhorn, our musical director, was able to conjure up a polyphonic group for the Sunday in the Shrine, which was pretty miraculous. In terms of engaging professional singers, we are a long way from anywhere at a very difficult time of year, and in the middle of a bank holiday weekend. The effort was worth it. We had excellent liturgy, with the help of our band of seminarians from the Fraternity of St Peter and our volunteer chant schola. We had excellent food, thanks to the amazing efforts of the four-strong volunteer catering team. The support vehicles were everywhere we needed them to be. And the morale of the walking pilgrims was fantastic. 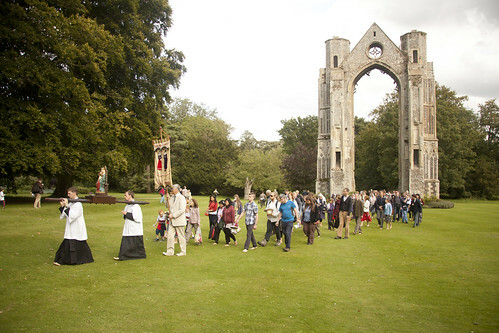 When we got to Walsingham, it was interesting to see the reaction of people who wandered into our Masses by chance - on Sunday in the Reconciliation Chapel, and on Monday in the Slipper Chapel. 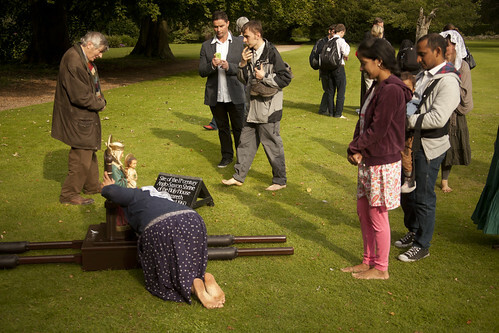 On Sunday, we picked up a lot of Irish Travellers, and others, from Youth 2000; there were also lots of Catholics of Indian origin around the place. 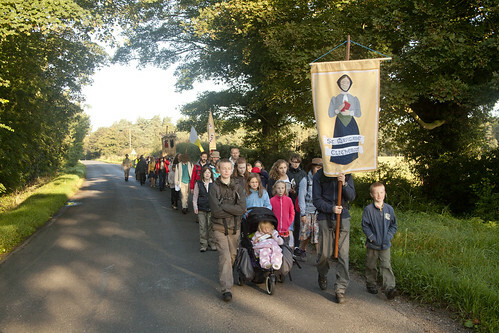 They clearly got enough out of it to join us on the mile-long procession after Mass to the Priory Grounds, in many cases with bare feet, where we venerated the statue of Our Lady of Walsingham. It illustrates the universal appeal of the traditional liturgy and devotions. 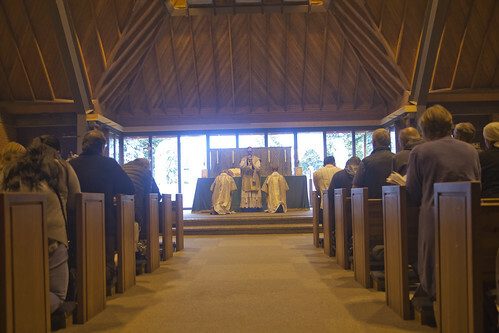 On Monday, after our little Missa Cantata in the Slipper Chapel, I had interesting conversations with two young people who were are Youth 2000, who had been drawn to the chapel, from across the field where Youth 2000 was packing up shop, by the Gregorian Chant. 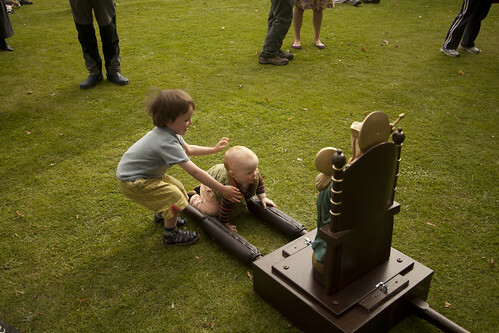 They both expressed their frustration at the kind of liturgy Youth 2000 had to offer. I don't have any beef with Youth 2000, indeed I don't know what exactly they do, but if there is anyone who still thinks that what 'young people want' is some sloppy spontaneous liturgy with badly-performed sub-'folk' music, I would ask them a simple question. Have you actually talked to them about it?